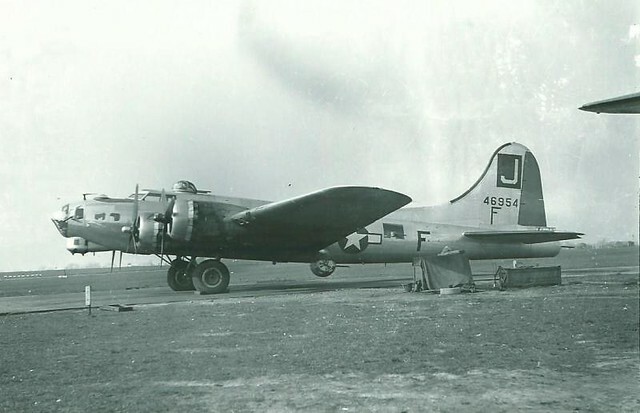 The subject is a B17G-70-DL serial 44-6954 during operation Chowhound. This operation was launched to save the starving people in the Netherlands because they were dying from lack of food after a gruesome winter. The American and British airforces dropped food after negotiations with the Germans to allow a safe passage for the planes. 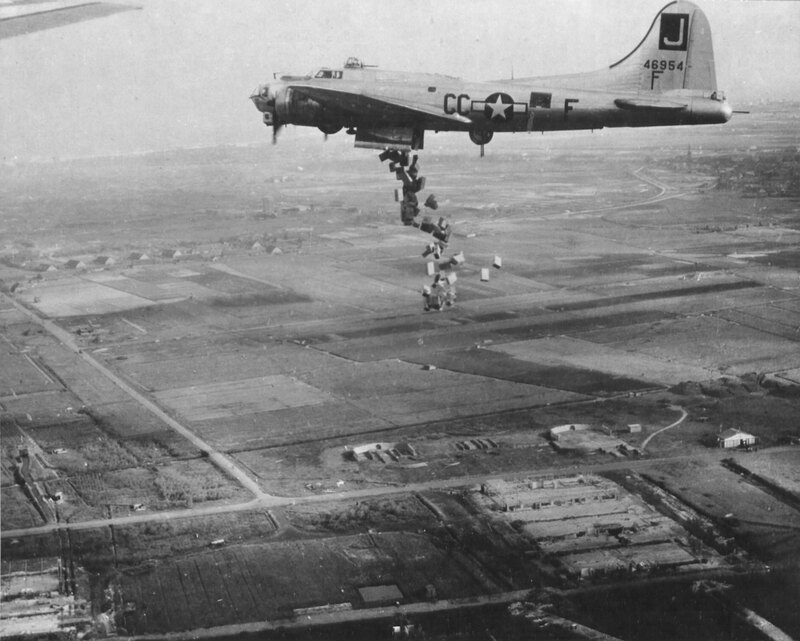 The bombers flew at a low altitude with marginal crews to drop the food for the Dutch people. I do not know if this is correct but a yellow rudder and a diagonal yellow stripe on the starboard wing is all? And even more important, the plane was a veteran with over 70 missions. Was there any nose art? I cannot find it maybe anyone her can tell me? 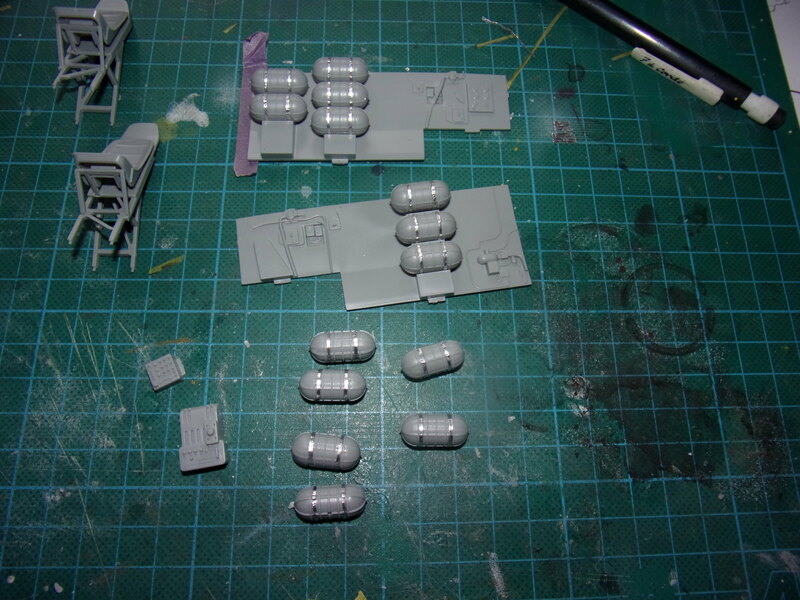 I have ordered boxes 10 in 1 menu scale 1/35 and I have a crew, must figure out a way to make a tail gunner and how to fit the ball gunner inside the ball turret. 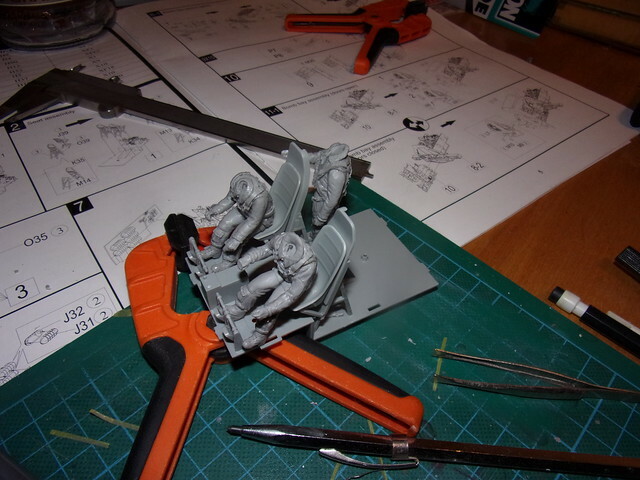 As far as I can see in the picture there is not a top turret gunner. I want to make the propellors turning, where can I obtain the electro engines? 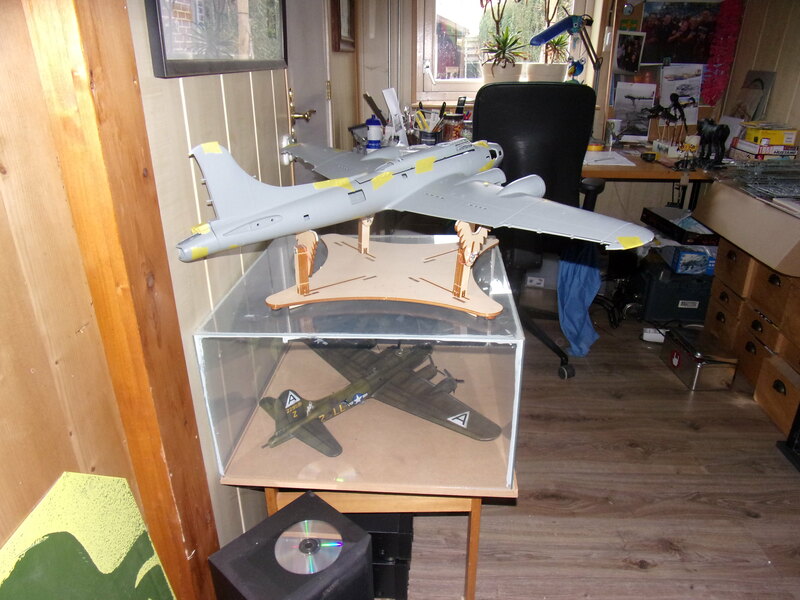 It will be a in flight model. the base will be a large picture in black and white taken during the operation. Also a challenge will be the support for the plane. Because of its seize and weight it is something I have to figure out. 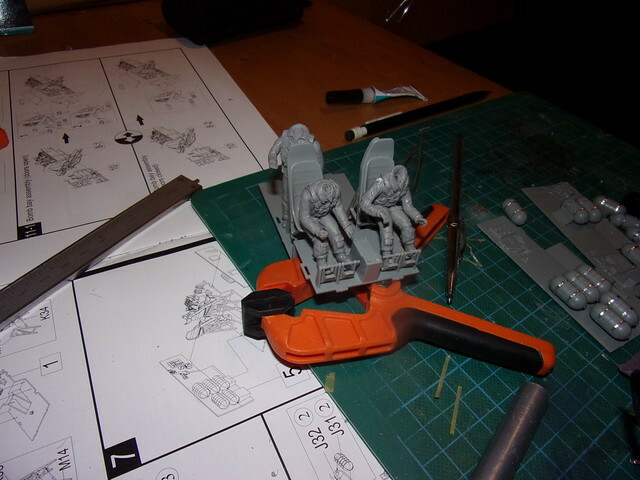 The support will be hidden from vieuw by the rationboxes, it will also hide the wiring for the engines. I made a modest start, added straps to the oxygentanks made out of alufoil. This will be by far the most ambitious thing I have done so far but I am looking forward to the ride! Also 390th were called “ Wittans Wallopers” based at Framingham. What an interesting thread. I never knew this and will jump on the Google wagon right away. Sounds like an interesting Project Rick. Somewhere I have seen prepainted 'blurred' plexy glass discs, which simulate rotating propellers without the necessity of an engine. What an interesting Topic/build! I'm glad you have a color photo. Maybe you'll find it useful. You'll want to scroll to the bottom of the page. Will watch your build with interest! 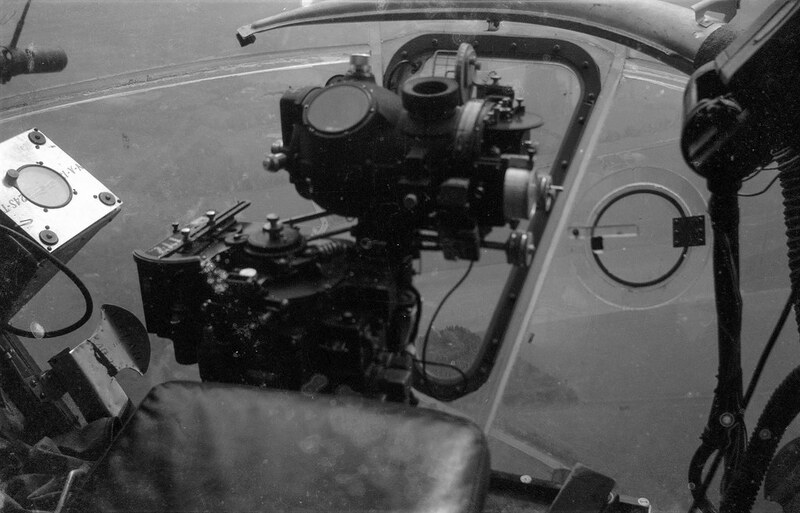 Rough cockpit layout. 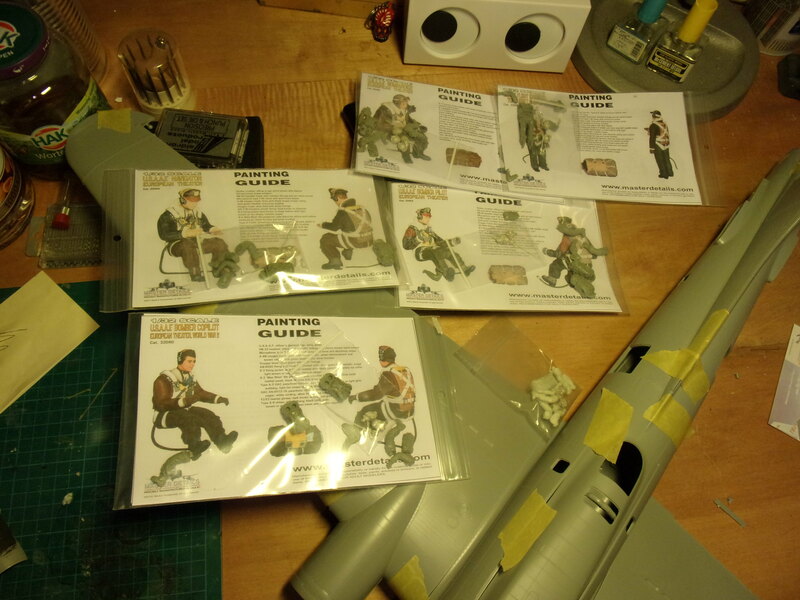 Figures are from masterdetail. @ Phil, thank you for the pictures. Maybe the red noseband although I cannot see it on my reference picture, Could it be used only for a certain period of time? @ Gaz that is a lot of metalwork!! Thank you for sharing. Someone on a Dutch forum found this picture. I guess this means no red band around the nose. About the subject of nose art or something like that. The pictures I know show the plane from the portside. I have not yet seen a picture displaying the starboard side. Does anybode over here knows if there was nose art om the starboard side, or a name and / or mission symbols? My parents still remember seeing those bombers flying very low to drop the bags of flour etc. My Grandfather was a bombardier with the 96th BG on a B-17G and spoke about the modifications for dropping food from the aircraft. They fashioned plywood floors in the bomb bay that could be released via the bomb shackles, that would then swing down and drop the food stores, which were just piled on top of the plywood floors via the radio room entrance. He said the floors were prone to break in flight or come loose once the bomb bay doors began opening, and he mentioned that they damaged many a bomb bay door during food deliveries! He loved the missions, but felt uneasy flying so low during war time. Just couldn’t couldn’t get over a fellow book owner of the Mighty Eighth. I’m guessing I had my well read and worn copy for maybe 40 plus years - awesome book and reference. Excellent progress and looking forward to your treatment of the figures. fellow book owner of the Mighty Eighth. I’m guessing I had my well read and worn copy for maybe 40 plus years - awesome book and reference. Thanks! Long time lurker, first time poster. Bout time I got off the schneid and contributed around here. 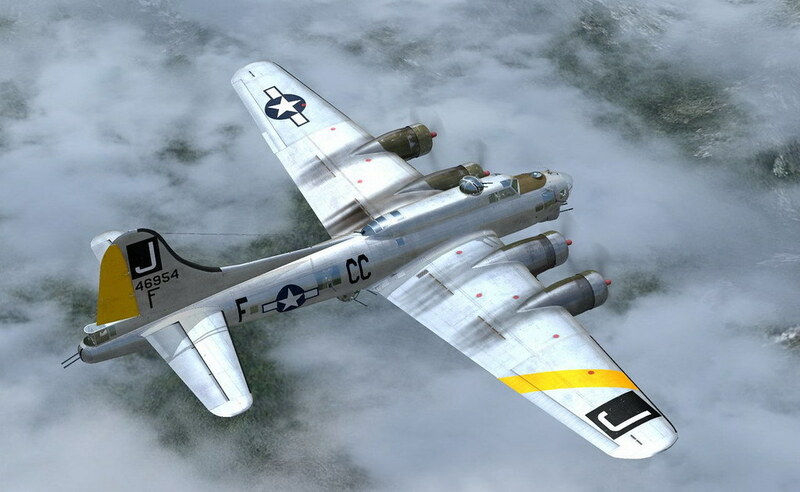 The B-17 is a passion of mine, thanks to my Grandfather. 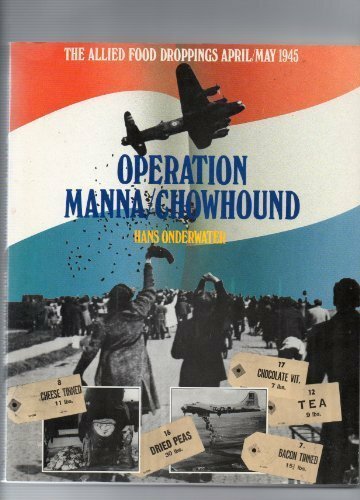 He passed along his copy of the 96th BG yearbook (volume I), which has lots and lots of info about Chowhound missions, of which the 96th was very active. 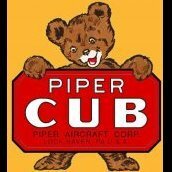 My Grandfather, who was also rated as a pilot for the Fort, also talked about picking up groups of POW's after the war's end. He would fly them back to France and circle over the Eiffel Tower, to show them that they were indeed free. He also talked about flying to Dublin for the Picadilly Circus and parking their B-17 for a night of drinking. 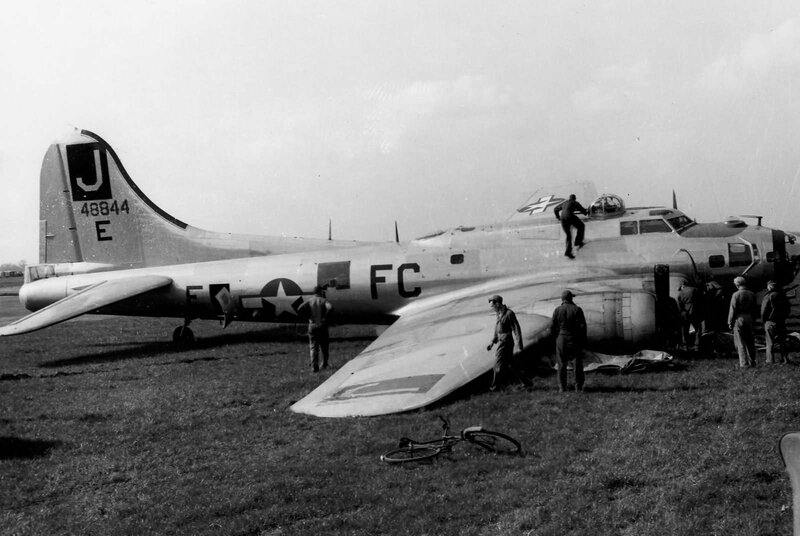 When they returned in the morning, another crew had taken their B-17 and flown it somewhere. They "commandeered" an A-26, which they flew back to Snetterton. He talked about how it was so war-weary that it would barely make it over the white cliffs. It just would not gain altitude. So many good stories! 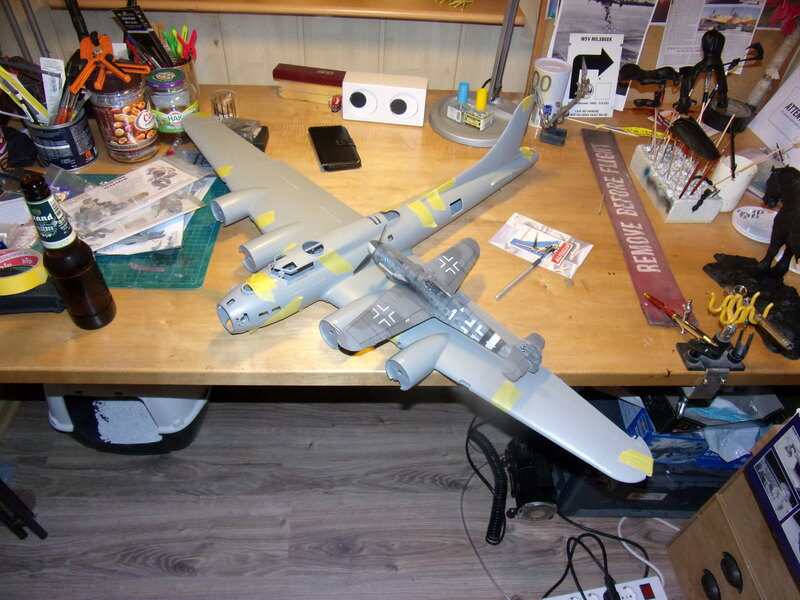 I am in the process of completing an HK B-17G in the markings of his bird. Perhaps I will get a WIP thread going here as well to show where I'm at. Don't want to derail this thread. Eager to see the progress on this one! First of all everybody a Happy New Year!! @ Dennis, thank you very much for the story from your grandfather and you input and welcome here! Love the picture of the bombsite and it is a great reference. Wonder how the plywood was attached in the bomb bay. Could it be that they were fixed on the swingingside of the doors and attached to the center bomb shackels?The stories you told us makes me want to know more about your grandfather. Again thank you!! @ Phil and Peter, I found a copy of The Mighty Eight in a secondhand online bookstore for €23,90 including P&P. Ordered it should be here at the end of the week. Wonder how the plywood was attached in the bomb bay. Could it be that they were fixed on the swingingside of the doors and attached to the center bomb shackels? Rick, I too thought the same. It would make the most sense considering how they were dropped, according to at least how the 96th did it.